144: Ohio is on the way to Barber? We u-turn on the Spoken Wheel, discuss more female motorcycle owners, and spend some money! We kick off our Spoken Wheel series with a topic on the state of motorcycle racing in the United States. Four new options for the Indian FTR 1200, AFT rule changes for 2019, and the return of car talk! Conversation this week starts with Alta closing, moves onto the KTM 790 duke and the new Triumph Bonneville 1200 Scrambler. Rich has been doing a little wrenching as well on the Deuce. We get all the details from Jon on his cross country trip. Roundtable discussion of our visit to the 14th annual Barber Vintage Festival. Being the last episode before we ride to Barber, we decided to talk about what and how we pack for a trip. There is a new product from Can-AM called the Ryker and our in-house Spyder expert Jon breaks down the new model. After the news of Motus closing doors, we celebrate the bike, the company, and relive our past experiences. Plus it's our fourth anniversary! 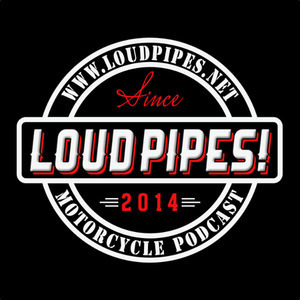 Review of the 2019 HD and Indian Lineup, FXDR from Harley, and our plans for the 2018 Barber Vintage Festival.